The SBI-led lenders' consortium has not been able to find a consensus about the initial fund infusion required to get a rescue plan on the runway. Jet Airways, India's first private airline founded 25 years ago by Naresh Goyal, has decided to temporarily suspend all operations from Wednesday. The State Bank of India (SBI)-led lenders' consortium has not been able to find a consensus about the initial fund infusion required to get a rescue plan on the runway. 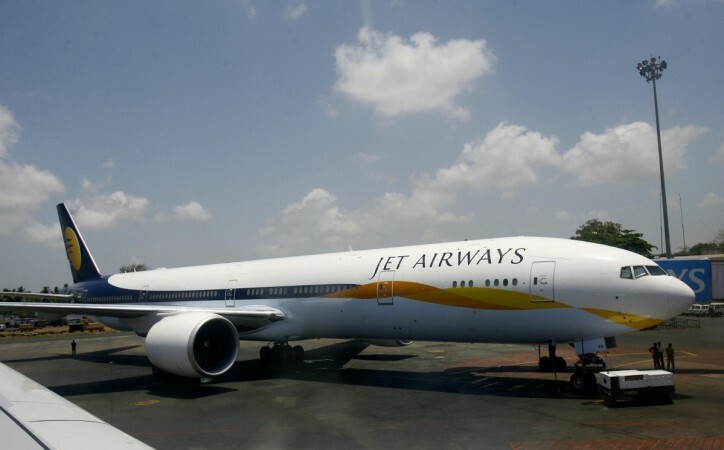 Even as Goyal, forced to step down as chairman a few weeks back, was made to withdraw an expression of interest (EoI) for a role in the airline's rescue on Tuesday, Jet CEO Vinay Dube has sought at least Rs 400 crore to keep the carrier airborne. Dube has told the lenders' consortium whose rescue plan has got Jet board's approval that any delay in releasing the funds would result in halting of all operations. Earlier reports said the consortium of lenders was committed to Rs 1,500-crore emergency funding but later reports put the figure at Rs 1,000 crore. Even that amount could not be released as some lenders have been debating the viability of the debt resolution plan they had earlier approved. The airline is in a tailspin and is about crash land in a few days if more funds are not made available. The number of aircraft available for operations has dwindled to five. The airline has not paid most of its 22,000-strong staff for almost three months and aircraft leasing companies have been repossessing their assets because of mounting dues while oil companies are frequently putting the squeeze on aviation turbine fuel supplies depending on the status of outstanding payments. The airline's debt burden reportedly totals Rs 8,500 crore. Goyal's exit from bidding leaves four entities in the fray for submitting detailed bids for up to 75 per cent stake in the airline. They are Abu Dhabi-based Etihad Airways, Jet's strategic partner holding a 24 per cent stake in the equity, private equity firm TPG Capital, government-owned National Infrastructure and Investment Fund (NIIF), and US-based private equity firm Indigo Partners LLC, which has a controlling stake in the American Frontier Airlines and Chilean low-cost start-up JetSmart. The bid of US private equity firm, Delaware-based Future Trend Capital, became untenable after Goyal, whom it partnered for the bid, pulled out. Media reports said the Jet management informed the airline's board that in the absence of interim funding, the airline would have to half its operations. "The management sought permission from the board to shut down operations. However, the board asked Dube to make a final attempt to convince the banks for releasing Rs 400 crore," according to a report in Business Standard. The report cited an official of a public sector bank as saying the lenders may release nominal funding of around Rs 25 crore to keep the operations running. Representatives of the banks think that even the total grounding of the airline would have no impact in the bidding process as it is almost shut now.